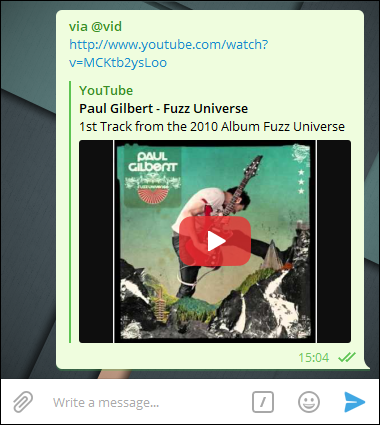 Users can interact with other bots via plain text messages as well as inline queries. get_inline_bot_results() is the equivalent action of writing @vid Fuzz Universe and getting the results list. send_inline_bot_result() is the equivalent action of choosing a result from the list and sending it to a chat.